Blog posts must cover a topic important to Parkinson’s disease research or the Parkinson’s community. 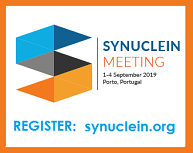 Scientists, clinicians and advocates are welcome to submit. Blog posts will be reviewed by a journal editor and staff as well as external experts, as appropriate. Reviewers will provide the author with feedback. Blog posts should be factually and scientifically sourced and accurate. As appropriate, please provide citations with links. Blog posts may not be defamatory. The journal reserves the right to edit for grammar, length, clarity and editorial style. Authors will be advised of edits prior to publication. As appropriate, the editor/journal may return the post for revisions prior to publication. Authors are asked to consider artwork that may accompany their posts. The authors must be able to provide permission to the journal to use these images. The suggested length for posts is 500 to 1500 words. For lengthy submissions, the journal reserves the right to suggest reducing length or split the article into multiple posts. The post title should be clear about the point of the post—what's in it for for the reader? How will they benefit by reading? We suggest including a call to action (for instance, by asking questions) and prompting the reader to “learn more”. We suggest thinking in terms of a broader story. What motivated you to start the feature? Authors retain copyright on their content and may reproduce it elsewhere. 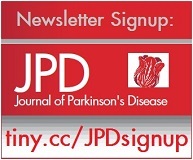 Journal of Parkinson’s Disease/IOS Press retains the right to use the content on promotional materials for the journal. 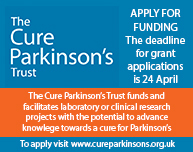 We encourage authors to share the post from its location on the Journal of Parkinson’s Disease website.